ALBUQUERQUE, N.M. -- Critically wounded, an Albuquerque mother struggled in vain to pull her three children to safety after a gunman shot them during a confrontation inside the family’s home in what police described Tuesday as a violent and senseless act. Police Chief Gordon Eden confirmed during a news conference Tuesday that the children, who ranged in age from 5 to 9, were killed and that the mother remained in critical but stable condition following Monday night’s encounter. Eden said preliminary evidence suggests the family was attacked by George Daniel Wechsler, 45, who was believed to have had a brief relationship with the 36-year-old mother. Investigators believe Wechsler forced his way into the home and waited for the family to arrive before shooting them. Police said Wechsler had asked to visit to give the children Christmas gifts but the mother told him no after he repeatedly called and sought to visit. The mother had asked Wechsler several times to stay away, police said. 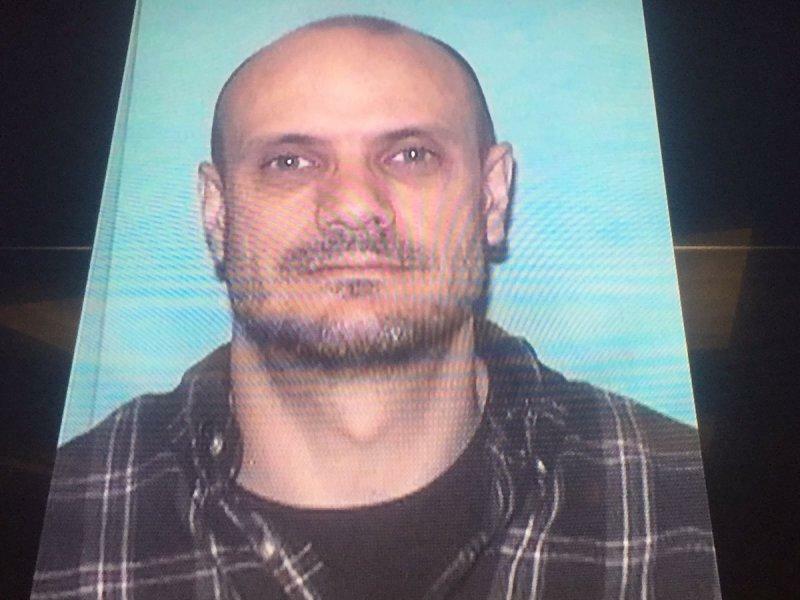 Wechsler was found unconscious with a self-inflicted gunshot wound Monday, police said. He died at the hospital. Authorities said had Wechsler a criminal history, including an aggravated battery charge which included harassment and stalking. Wechsler had been arrested before for domestic violence and has a couple stalking charges; none of these cases involve the victims from Monday night, CBS affiliate KRQE reports. According to his Facebook page, Wechsler worked at Blue Cross Blue Shield and graduated from Highland High. He had undergone a mental evaluation after threatening suicide in November. Eden said the mother, despite being wounded, fought to protect her children. A 5-year-old boy, a 6-year-old girl and a 9-year-old boy were killed, according to police. The mom crawled for help to a neighbor’s house and is now in critical condition. “The mother was attempting to save one of her children while she was critically injured herself,” Chief Eden said. As the only surviving witness, he said investigators have not been able to talk to the woman as they try to piece together a possible motive and the events that led up to the shooting. The victims’ names have not been released pending the notification of other family members. Albuquerque Mayor Richard Berry called for the city to come together, saying the crime was unimaginable and heartbreaking. “It’s hard not to be angry. It’s hard not to be frustrated,” he said during a news conference at police headquarters. The shooting also drew condemnation from New Mexico Gov. Susana Martinez. Authorities said the violence erupted about 6:30 p.m. Monday. A woman called for help, saying that shots had been fired at a home in the Four Hills neighborhood in southeast Albuquerque. Within minutes, officers arrived to find the mother and the children, all shot. It’s not clear in what order the victims were shot. Authorities said there was no history of previous calls to the home. Officials with the Albuquerque school district said their crisis management team and other support staff were ready to help classmates of the victims and staffers.